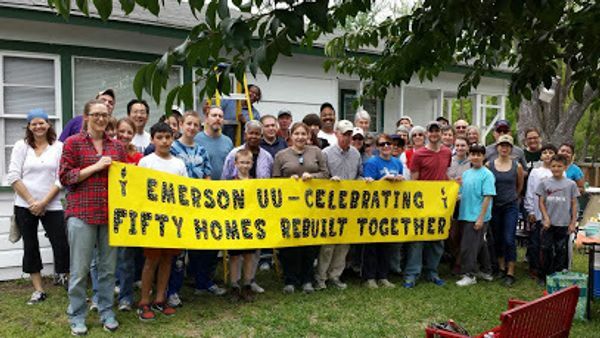 Twice a year the Emerson congregation participates in a Rebuilding Together Houston project. Woking together to repair a home provides volunteers an opportunity to learn a new skill while helping an elderly or disabled Houstonian. Each house is different so the opportunities are endless! Emerson has participated in over fifty home rebuilds where we renovate a house that needs a little TLC while helping an elderly or disabled Houstonian living below the poverty line. Our Spring workdays are two Saturdays, October 20 and 27.